There are only a handful of book series which I stick with. I usually end up bored with the characters or the stories lose their fascination. This series of 17 books, yes I said 17, just keeps getting better and better. And Agent Pendergast has nine lives. Agent Pendergast is a character with so much mystery surrounding him, his family, his money,his homes…he is almost like Batman to me. I am truly amazed how the authors keep him so intriguing throughout this series. 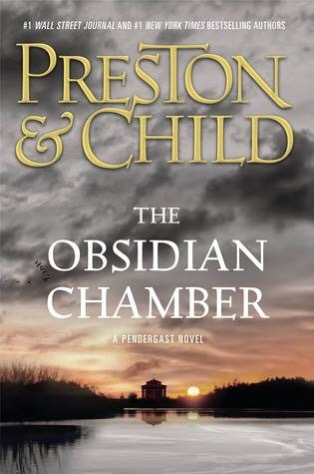 In this novel Pendergast finds himself rescued (rescued?? Yes, rescued…must read the book) by criminals and held for ransom. In the meantime, his fortress of a home has been infiltrated and his ward kidnapped. His very loyal bodyguard is lead on a wild goose chase across the world to save her. This story is non stop! The authors always throw in some history and science which just make the story so much more compelling than just a regular thriller. The way they weave these into their tales is creative and unique. If you have not read this series, I would start with the first book, Relic. There is so much about Pendergast in the first of the series it will help you follow better in the latter books. Your review is outstanding! I have to take notice when someone like you who reads so much is not bored by a 17 book series. I like the recommendation of the first book for people like me new to the series. I am clicking through to amazon now. Thanks for the solid reviews. You always make my day!!! Thanks you! Let me know how you like it!! A terrific review, Reeca. You find books that no one else is reviewing. There is always something new to look forward to here.